We sell 100% Dehydrated Organic Broccoli, Brussels Sprout, Kale, Cauliflower Powder. 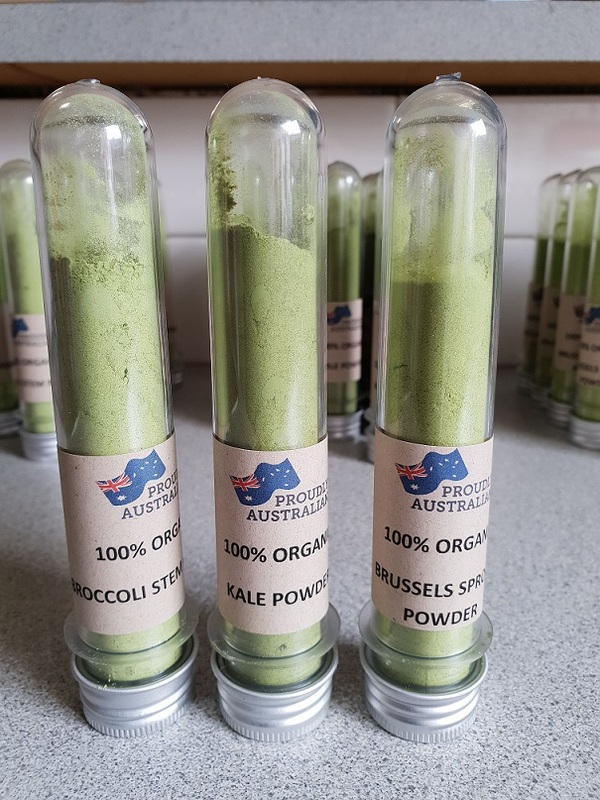 Highly nutritious, 100% Organic from the fertile soils of Australia. No preservatives or additives. Easy to get your veggie fix by adding this powder to a meal and or to a drink, or to make soups, stock and sauces. We sell in bulk 1000KG per item which comes in 'clear label' packaging. Price is per tonne. All year Supply, 2 year shelf life.